This is a very unusual insect in amber. It is a fabulous Cricket (Gryllidae) trapped in Dominican Amber. This specimen is extremely detailed - the LOOOOOOOONG, segmented antennae are beautifully showcased. The long jumping legs are intact, and the distinct spikes on the tail even have the bristles preserved! The large Cricket is easily seen trapped within the cognac-colored piece of amber. 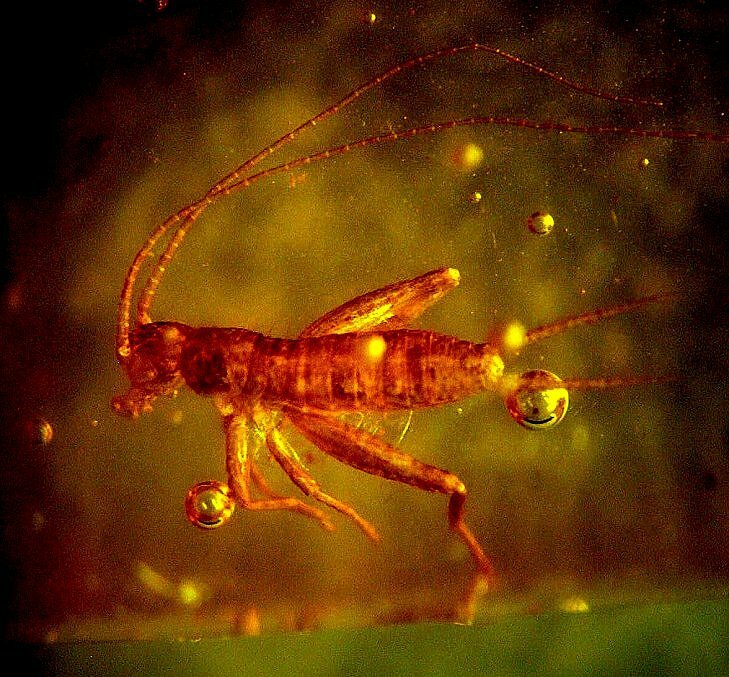 This is a wonderfully preserved and extremely collectible example of a fossilized Cricket entombed in Dominican Amber (small close-up photo is included for free).